A brand with a sense of humor needs a print reboot. We worked with one of our marketing partners to assist this insurance brokerage with rejuvenating their existing visual identity. They needed new print pieces to showcase their new direction. 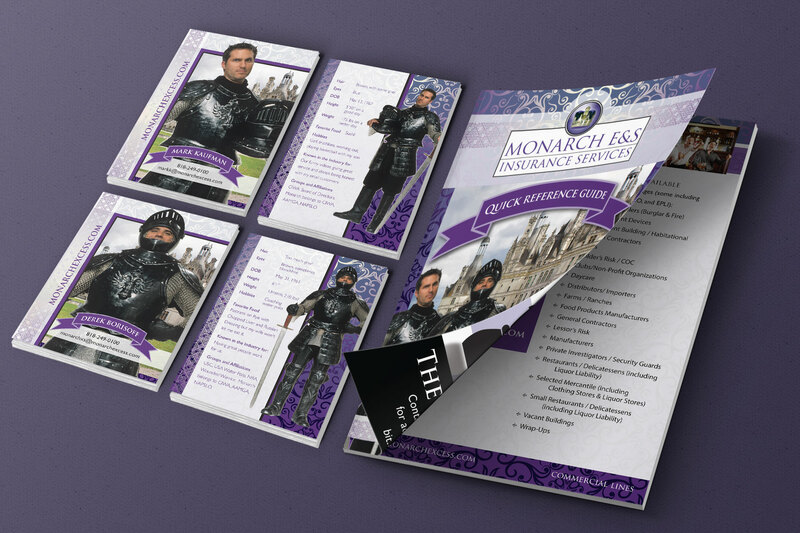 The business has always tied their marketing with the “royal” look and some clever photography, so we took that a step further in making the business feel more modern and memorable. We designed these trading cards and a quick reference guide. The 12-page booklet showcases their product offerings and advertises some of their online services. These pieces will be handed out at trade shows and other events.